You may be wondering to yourself, “how frequently should I undergo eye exams?” According to the American Optometric Association, this depends on your age and risk factors. For example, general eye exams for healthy adults should be conducted once every two years. For older adults or people with existing eye conditions, annual eye assessments may be recommended. Eye exam frequency for children, meanwhile, varies. Infants should have their first eye exam between six to 12 months of age, with another between three and five years of age. Schooling children should undergo an exam before first grade and annually thereafter. Additional exams may be conducted depending on the child’s visual health status. During an eye exam, an optometrist can detect conditions like amblyopia (“lazy eye”), strabismus, (“crossed eyes”) and refractive errors such as nearsightedness, farsightedness and astigmatism. Most of these conditions are correctable with eyeglasses or contact lenses. Eye exams allow for early detection and prompt treatment of vision problems. Having regular eye exams is one of the best ways to ensure a smooth path to healthy eyes and vision throughout your life. For people who spend a great deal of time outdoors, the threat of ultraviolet (UV) radiation is a concern. Most people are aware they need to protect their skin from exposure to UV rays, but protecting your eyes is just as important.. Your eye doctor recommends always protecting your eyes from exposure to UV rays. Excessive amounts of UV radiation over a short period of time can lead to sunburn of the eyes or photokeratitis. Symptoms include extreme sensitivity to light, excessive tearing and a feeling that something is stuck in the eyes. Fortunately, these symptoms tend to subside and won’t cause permanent damage to the eyes. However, longer exposure to solar radiation may put you at risk of developing cataracts or even macular degeneration. As such, it is important that you wear eyewear that offers UV protection whenever you spend time outdoors. You may even find contact lenses that provide additional protection against harmful UV rays. Two of every three people in the U.S. spend up to seven hours in front of a screen every day. Excessive screen time can lead to computer vision syndrome (CVS), which is characterized by symptoms such as eye strain and dryness, fatigue and neck and/or back pain. Fortunately, these symptoms can be alleviated through certain eye exercises. We recommend following the 20-20-20 rule: after 20 minutes of screen time, look at an object 20 feet away for 20 seconds. If symptoms persist, special eyeglasses may be prescribed to you solely for computer use. You can also correct factors that contribute to CVS such as improper lighting and uncomfortable seating. Adjusting your display monitor or installing an anti-glare screen can help. Achieving a healthy lifestyle is an important step in preserving your eyes and your vision. Your eye doctor may advise you to start exercising, which can significantly reduce the risk of developing eye conditions like diabetic retinopathy. Quitting smoking is also critical, as tobacco smoking has been directly linked to many adverse effects, including age-related macular degeneration. Another way to promote your visual health is to include fruits and leafy green vegetables in your diet. These foods are rich sources of lutein, zinc, essential fatty acids and vitamins C and E, all of which can help boost retinal function and lower the risk of developing various eye-related conditions. More than 40 million Americans wear eyeglasses or contact lenses to improve vision. If you are one of them, it’s important to handle and care for your corrective eyewear properly. Improper use of contact lenses can cause the buildup of bacteria and other infection-causing agents on the front and back surfaces of the lenses, which can result in eye infections. To avoid this risk, simply follow your optometrist’s instructions on how to care for your eyewear. Doing so will help prevent symptoms such as blurred vision, eye redness and irritation and corneal inflammation or keratitis. 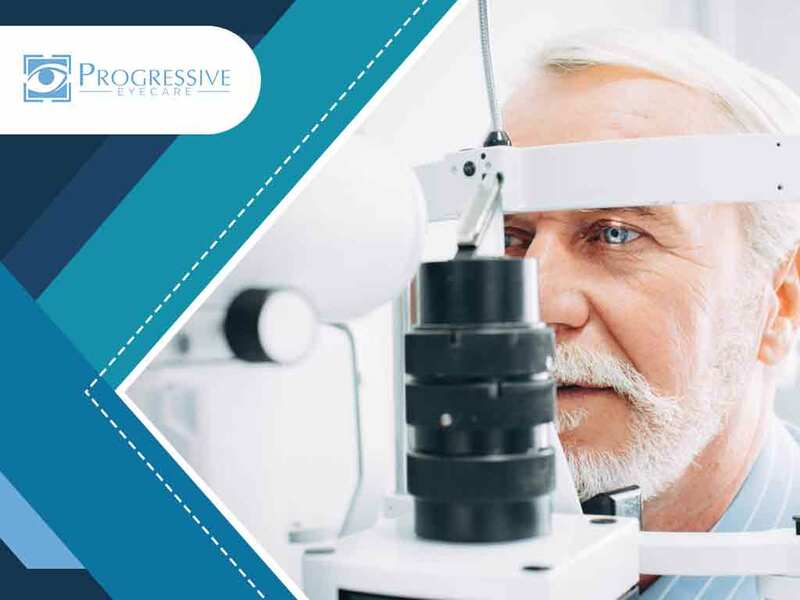 Progressive Eyecare strives to give our clients the best when it comes to eye care. Count on us to deliver top-notch services, from providing prescription eyeglasses and contact lenses, conducting eye exams, and treating and managing vision-related conditions. Call us at (702) 368-2021 in North Las Vegas, (702) 407-0601 in South Las Vegas or (702) 834-5609 in Boca Park. Our Las Vegas, NV, service areas include North Las Vegas, Southwest Las Vegas, and Summerlin.